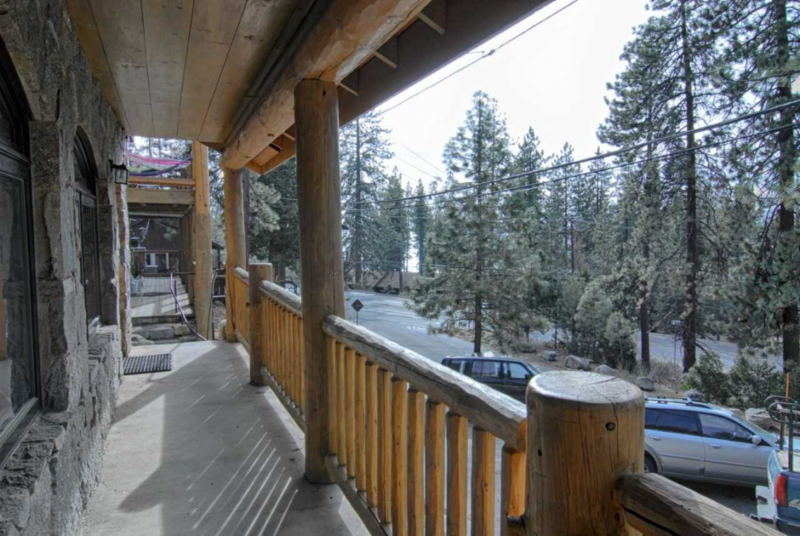 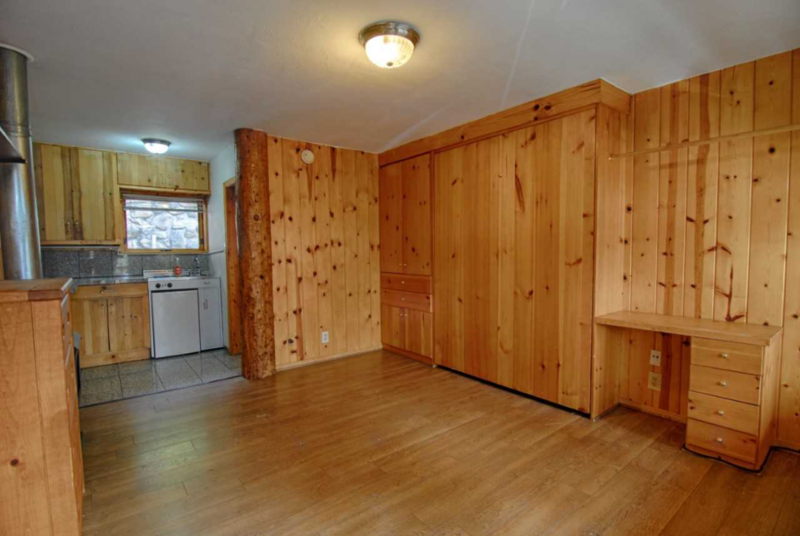 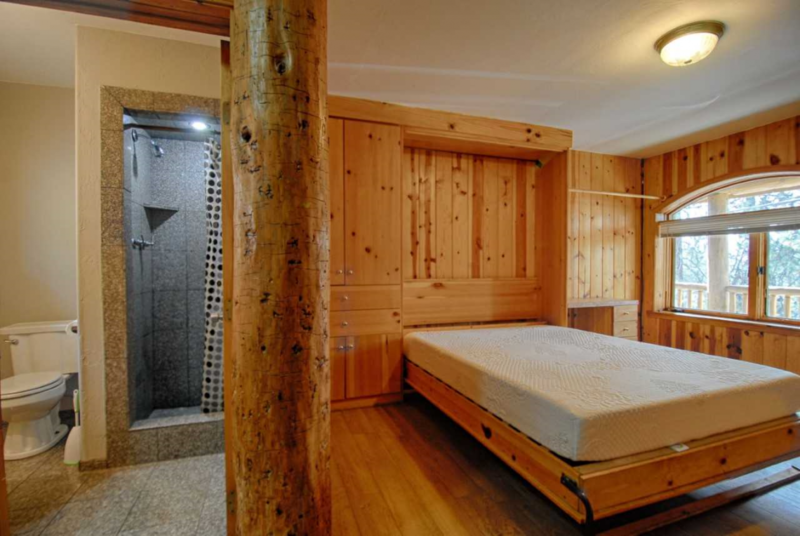 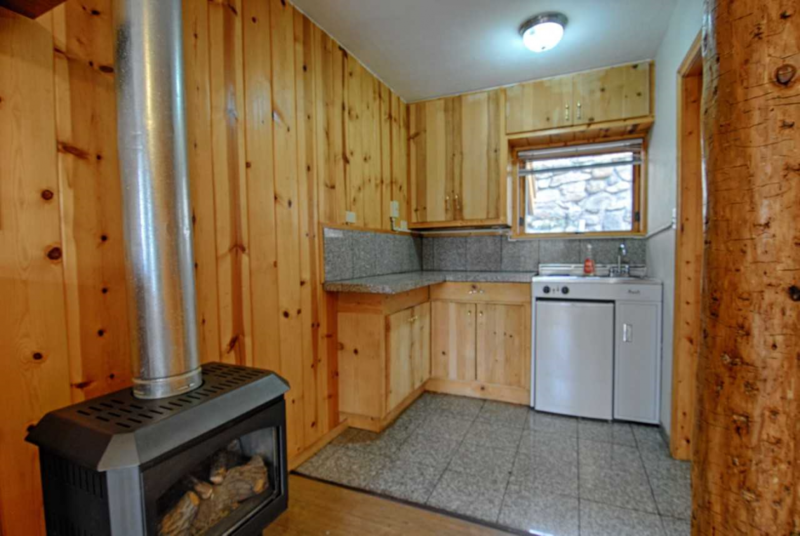 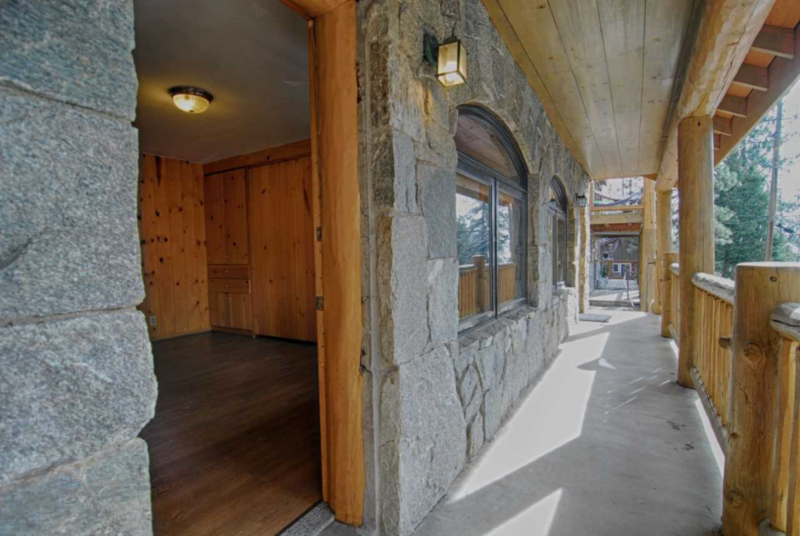 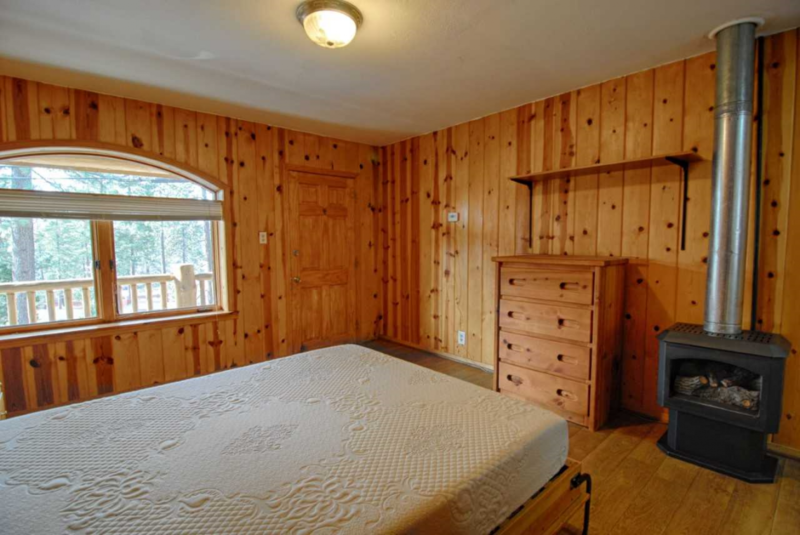 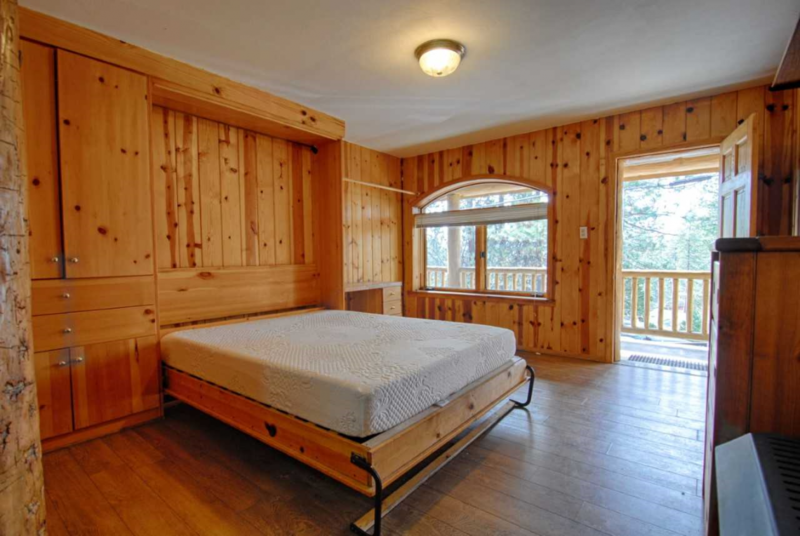 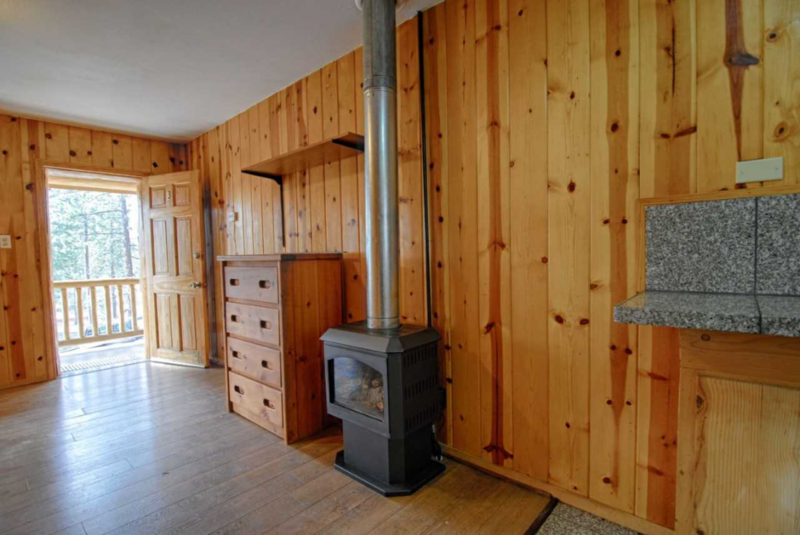 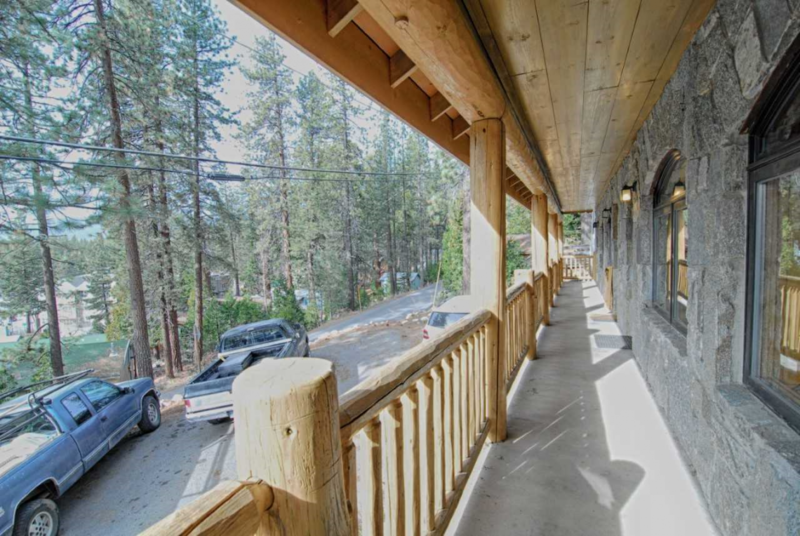 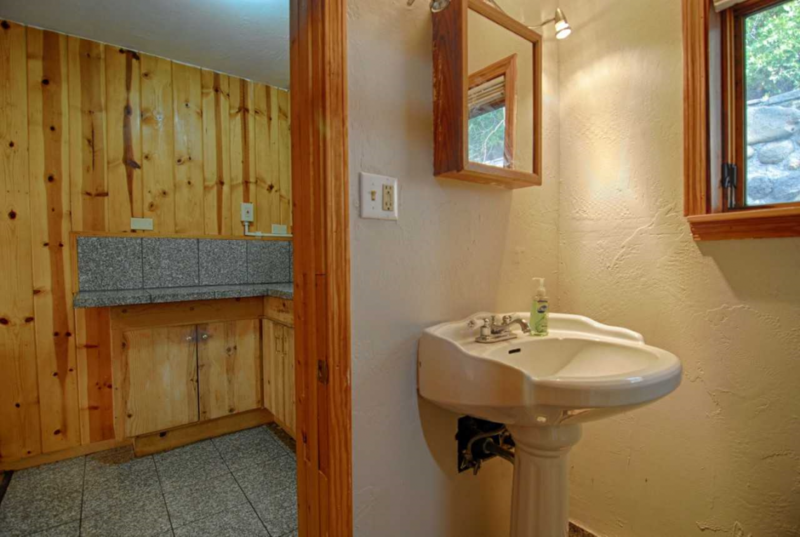 This rustic lodge style studio home is perched on a hillside and has filtered lake views. 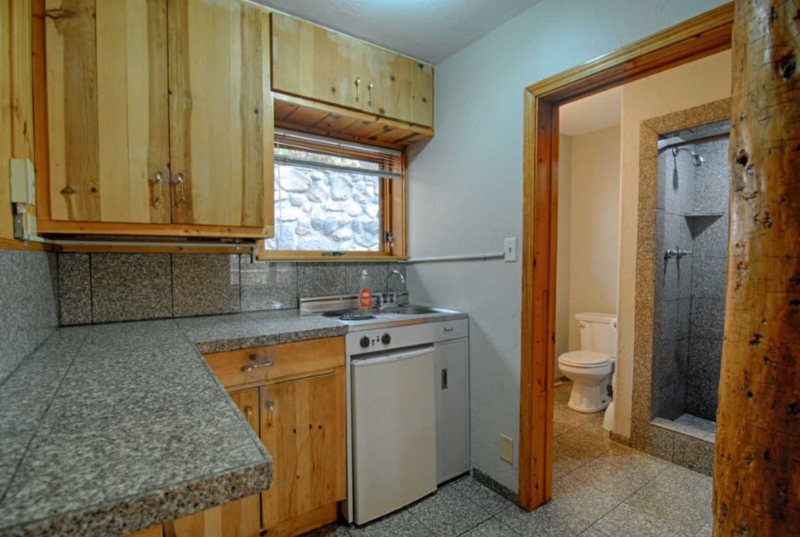 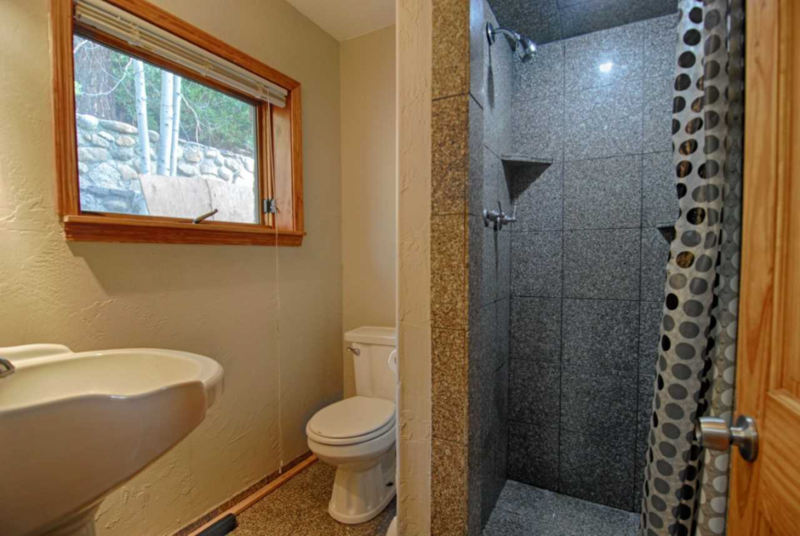 Unit has parking for one vehicle, kitchenette, newly updated private bath with shower and hardwood flooring. 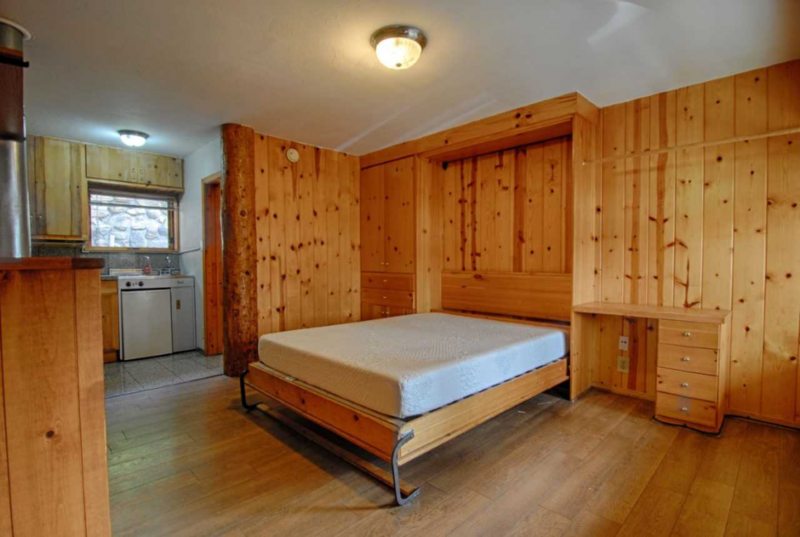 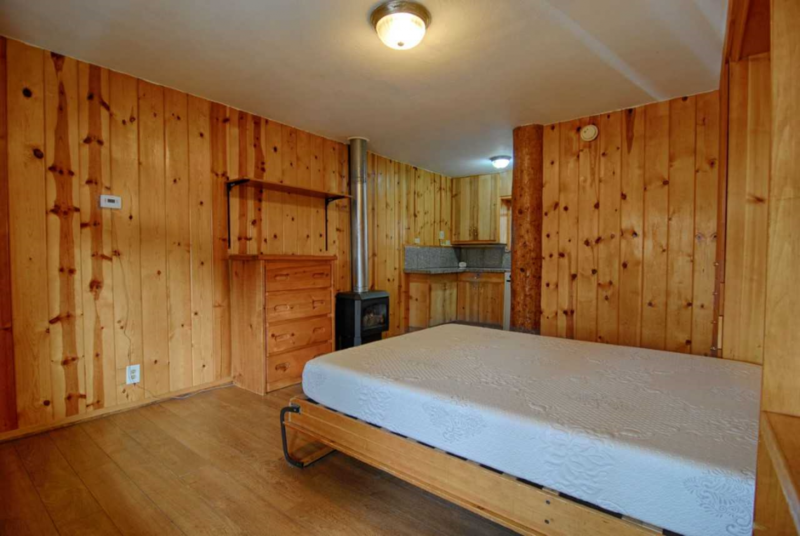 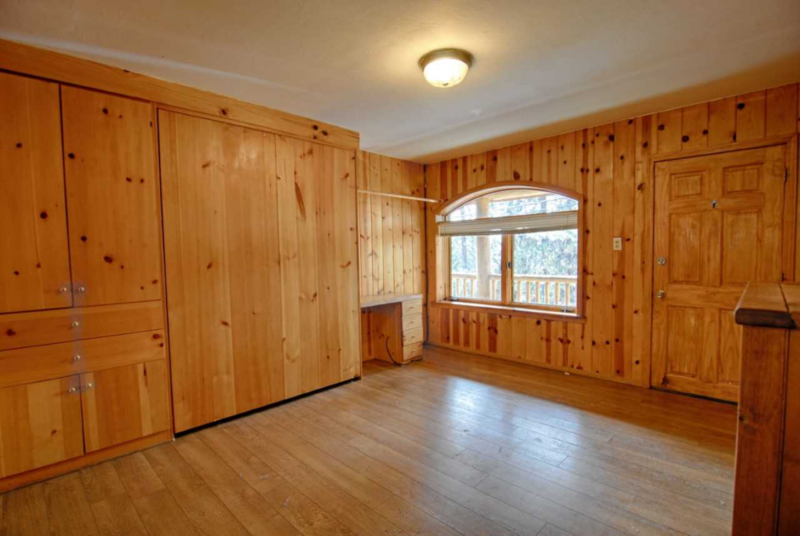 Home is unfurnished but does offer a full-sized Murphy bed.